If your ideal study abroad situation sounds like most people’s idea of a tropical vacation, you may want to consider hitting the beaches of Venezuela…with your books in tow, of course. Venezuela offers more than just coastal scenery and picturesque jungles, however – there is a plethora of study opportunities for the future biologists, ecologists, and sustainable developers of the world. Located on the northern end on South America, Venezuela is often considered the gateway to the Caribbean islands that lie south of Florida. In fact, exotic islands Trinidad and Tobago lie off her coast and may be attractive to you as a jaunty study break from your schoolwork. The region is distinctively tropical and diverse in native flora and fauna, and for this reason attracts many students interested in ecotourism, biodiversity, biology and other environmental disciplines. If studying ecological, economic, or linguistic subjects in Venezuela for a semester sounds like a good extension of your college career, you will want to start your study abroad plan by searching for scholarships to fund your trip. Several opportunities, from the federal government, student travel organizations, private colleges, and other sources, are in place to assist you in paying for your Venezuelan adventure. Be aware that there are somewhat fewer scholarship opportunities for American students to Venezuela than to many other South American countries, simply because of the volatile government system and their constantly shifting policies, but what is in place is well worth checking out. The David L. Boren Scholarships are offered to both undergrads and grad students whose career interests may include national security and political subjects of interest to the US. Students planning on a comprehensive program in Venezuela may qualify only if their academics are outstanding and the other list of criteria is well-rounded and thoroughly covered. The program was established for a reason beyond wholly altruistic thought – it was created to fill in the gaps in national security where there is a high demand for niche-trained personnel with intimate knowledge of critical areas in the world, such as Venezuela. Eligible applicants must be able to experience Venezuelan culture and language at a deep level and carry that knowledge back home with them. They must also be willing to at least repay the scholarships with service in the Department of Defense or Homeland Security following graduation. Notably, preference is given to those who long-term career plans may track them in that direction. Scholarships may be as much as $25,000 for this one-for-one education plus a job package deal. Benjamin A. Gilman Scholarships give disadvantaged students the opportunity to study abroad in Venezuela and other countries with the federal government footing the bill. The feds hope the nation will benefit from a more diverse and balanced global leadership in the coming generations, and have established this fund to prove it. To that end, the generous Gilman awards are bestowed on necessarily low-income applicants who must also be Pell Grant recipients. Preference is given to minorities and those attending institutions that are not traditional liberal arts colleges. Up to $5,000 is given to over 700 students across the country in this highly competitive contest. Students in the Latin American and Iberian Studies program or in the Modern Literatures and Cultures Department who are planning to study in Venezuela may qualify for the Don Quixote Scholarships, sponsored by the University of Richmond, Virginia. The awards, which are one of quite a number of others in the department, go to students whose academics put them above their peers and who display a burning desire to study in Venezuela. Scholarships are a little over $3,000 and may be used for a study abroad program that is up to a year long. Advanced knowledge of Spanish is required, and the student must have maintained at least a 3.5 GPA in their Spanish courses at the college. The University of Wisconsin – Madison has partnered with the VENUSA college of International Studies and Modern Languages in Merida, Venezuela to bring its students a unique opportunity to study Venezuelan language and culture in the foothills of the Andes Mountains. The program is fully immersive, with participants agreeing to live with native host families and learn their way of life. Students may choose to study at VENUSA for a semester or year while taking classes in international business, Spanish, Latin American studies, or natural sciences. There are no language prerequisites for this program, making it ideal for the student with a new interest in Spanish. Students may apply for scholarships through UW as they give away over one million dollars per year for study abroad purposes, and have a comprehensive listing of opportunities through their website. The Office of International Programming at James Madison University in Virginia is a big proponent of its students studying abroad, and they have a number of scholarship opportunities to encourage the practice. These funds will fit well with their study abroad program titled “El Sistema: The National Youth Symphony and Choir Program of Venezuela“. Students who are accepted into this course will spend a spring month in Caracas and Merida immersing themselves in the ways of Venezuela’s unique music program which provides no-charge after-school choral education to young children. JMU offers some aid for the Venezuela trip, according to financial need and merit, through their most helpful scholarship department. Because the program is shorter – less than a month – than most, consequently it is less expensive and students may be able to find awards through the department to cover the entire cost. Music majors are encouraged to apply for this special program, as well as those studying sociology, education, or Spanish. The James Scobie Memorial Scholarships are designed specifically to allow a doctoral student up to $1,000 in travel expenses to go to Venezuela and do “preliminary research” toward his or her dissertation. The program is sponsored by the Conference on Latin American History, which also is home to a number of additional scholarships. The program emphasizes “preliminary” in regards to the length of time and is meant for short-term travel only as opposed to long-term studies. The funds are more for determining the viability and future of a major project, rather than completing the project in full. The Rain Forest Alliance is a leading international organization whose mission is the salvage of the Rain Forest in such critical countries as Venezuela where it seems that it is being torn down more and more each day. The organization works to promote awareness about tear down, inform the public of the issues relevant to them and the rainforest, and take charge of reforestation and conservation projects. The Kleinhans Fellowships for Research in Tropical Non-Timber Forest Products are sponsored by the organization and provide valuable funding for graduate and post-graduate students in the field of forestry and timber management. There is up to $15,000 in fellowship awards available for the motivated students. Open Door Scholarships are given on a financial need basis. Preference is given to students without other forms of travel scholarships and is available for programs lasting longer than 8 weeks. Up to $500 is possible through this generous fund. Match Scholarships uniquely offer up to $500 on top of an already received Gilman or Boren Scholarship for study abroad. Applicants must be participating in an AmeriSpan program to qualify. SEA Semester provides ocean-based voyages for undergraduate students whose educational focus is marine biology and other related maritime studies. If you’re interested in getting in on international studies that are related to the ocean areas around and near Venezuela you might consider this an appropriate and exciting option to further your underwater academia. Dean’s Awards offer outstanding students a generous $5,000. Presidential Awards offer even more: up to $7,000 to the most academically outstanding student in each voyage. This scholarship, targeted especially towards Venezuelan students who desire to study in the US, gives students a chance to pursue a different country from the other way around. The Milwaukee Foundation Victor Vega Scholarships are awarded to South American students who wish to study at the University of Wisconsin-Milwaukee. Each year the program funds the studies of a handful of international students, including those from Venezuela, and gives them a life-changing chance to move north for a semester. Get in touch directly with the Milwaukee Foundation for more information. Fortunately, this list is by no means a comprehensive catalog of all the scholarships available for study abroad to Venezuela. It is only a sampling, and many more may be found through your college’s financial aid office, study abroad office, or South American/Spanish studies department. Get in touch with these contacts you have already at your fingertips to further explore your options in terms of financial aid, grants, and even essay competitions. Resources like LIVFund, which provides scholarships for individuals learning, interning, and volunteering in South or Latin America, have a great database of information and ever-changing funding opportunities for students who apply through them. Be on the look out for schools – and the scholarship opportunities that go with them – constantly opening and closing in Venezuela due to its volatile political climate. For instance, the Simon Bolivar United World College of Agriculture was closed in 2011 because of governmental issues. New classes on crops and rural development have been established as a vocational school under the name Jose Felix Ribas in the state of Barinas, Venezuela, but this effort, too, is now going through changes. You may want to have a resource close-at-hand like the Washington, D.C.-based Embassy of the Bolivarian Republic of Venezuela, which will give you valuable travel information and news for US students visiting the country. 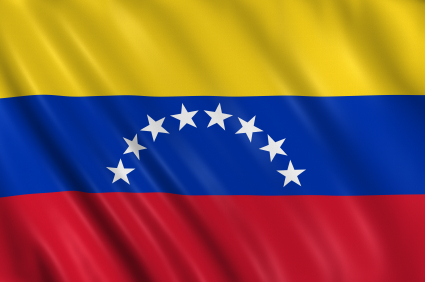 According to the ICEF Monitor for international education, the government of Venezuela has been known to restrict foreign currency available to American students studying abroad in Venezuela, so be sure you are well-prepared, aware, and comfortable with the country’s circumstances before you head south. Make sure your studies in Venezuela concern a well-defined research topic or pertinent subject of interest, and that you are clear about this in your applications for any of these above scholarships. For example, if you desire to get a financial boost from the Rainforest Alliance, you will want to target your extracurricular activities and college work towards a body of tropical/environmental work, and set your sights to an achievable project of research that must necessarily take place in the jungles of Venezuela. Your benefactors will want to know exactly where their money is going, and what difference the linguistic or rural progressive work you do in South America will make in terms of developing the country and your own pursuits. Have a thoroughly drawn up for your courses and academia, and you will be well on your way to a successfully funded and fruitful trip of a lifetime to Venezuela.